To ensure an appropriate level of security and optimal quality of service through a unique combination of dedicated people and leading-edge technologies, based on a company culture rooted in partnerships with each one of our clients. No one takes your safety and security more seriously than Gardium Security. Our people are rigorously selected, meticulously trained, and, most importantly, share the same values of integrity, judgement and loyalty. Excellence, in security, means having the right people at the right place. You will quickly realize, from the first mandate, that people from Gardium Security take their work to heart, and have an eye on your safety and security. Not sure? Worried? Our team is always there to answer your call, 24/7. 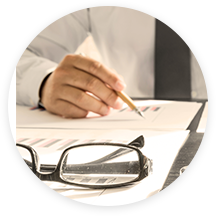 Our goal is to offer our clients world-class service, with a local approach to ensure you have the support necessary to manage any risk in the best possible way. 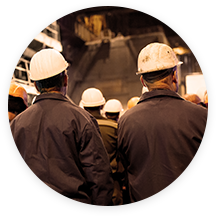 All of Gardium Security’s personnel are proud and committed to putting the company’s core values into practise every day. Integrity, judgement and loyalty are part of our DNA. We believe that these values are essential to the performance of our duties. services that would surpass what was available on the market. Since then, the company hasn’t stopped growing its services. Dany Laflamme has been a shareholder and member of Gardium Securité’s management since its creation in 2002 and has been its President since 2012. Before embarking on this path, he acquired more than twenty years of experience in highly strategic, complex positions. He was a consultant and director of strategic planning for Secor Conseil, and served as vice-president, strategic development for a venture capital firm with more than $5 billion in assets. 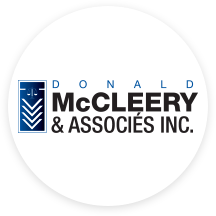 His excellent communication skills have enabled him over the years to develop strong ties with both clients and employees of this wonderful company. 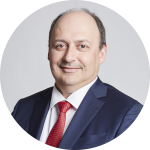 After having been the Ville de Laval’s chief of police from 1988 to 1998, Mr. Marc-Aurèle held the position of director of corporate security at Biochem Pharma for three years. 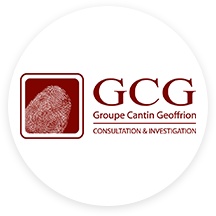 In 2002 he founded Gardium Sécurité. The goal he set for himself was that his company had to offer service that surpassed what was on offer in the private security market. 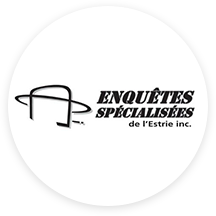 Over the years, Mr. Marc-Aurèle chose his team wisely, and he knows that the company is now in good hands. 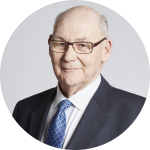 Even though he is no longer involved in the company’s day-to-day operations, his presence is felt since he remains in charge of the Labour Conflict Division. 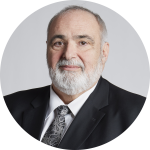 Pierre Lapointe has accumulated more than forty-five years of public and private security experience. 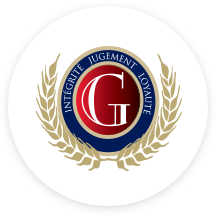 Prior to joining Gardium Sécurité in 2010 as Vice-President and Partner of the Investigation Division, he held a senior executive position at the Sûreté du Québec, where he headed up police squads and specialized investigative groups. He also directed the public security service at the city of La Prairie and acted as deputy director of inter-municipal affairs in Roussillon. Investigation and protection are true passions for Mr. Lapointe—a passion that he considers his duty to share every day. 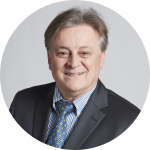 After some twenty years in human resources and labour relations management positions in major Quebec companies, Mr. Pierre d’Anjou founded, in 1999, Avant-Garde Ressources humaines P.D.A. inc., a human resources and labour relations consulting firm. In 2011, he became principal shareholder and president of Lupien Rouleau Investigation. 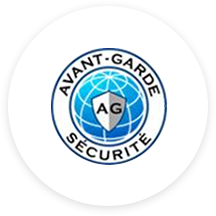 Within a few years, he acquired a majority stake in Avant-Garde Sécurité inc., Sectek inc. and les Consultants SPI inc. With the merger of Groupe Avant-Garde and its technology division Sectek with Gardium Sécurité, Mr. d’Anjou became Vice-President and Partner, and Head of Business Development for the company. 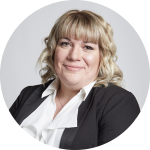 Julie Léger joined Gardium Sécurité in 2016 as Regional Director, Human Resources and was promoted to Vice-President, Human Resources in December 2018. Ms. Léger has more than 20 years of experience in HR management. In addition to having held several key positions at the Hudson Bay Company in retail management, then HR supervision in logistic centres, she was also Director, Human Resources of Pre-boarding Security at the Aéroport de Montréal, and counts 5 years of service in private security. Since the beginning of her career, Ms. Léger has always been committed to dealing with challenges in labour relations and the management of health, safety and staffing issues.